How happy are a college’s freshmen? It’s a question that any families should be asking as they evaluate schools. Ideally you want to attend a college or university where the vast majority of freshmen return for a second year. The schools that enjoy the highest freshmen retention rate are going to be the most selective institutions. This makes sense because they attract well-prepared teenagers, who aren’t going to flounder in schools. Elite schools also attract a much larger percentage of affluent students, which also ensures that most freshmen will return. These kids won’t be dropping out because they can’t afford the school. And those who do require financial aid from these super expensive schools receive excellent packages. 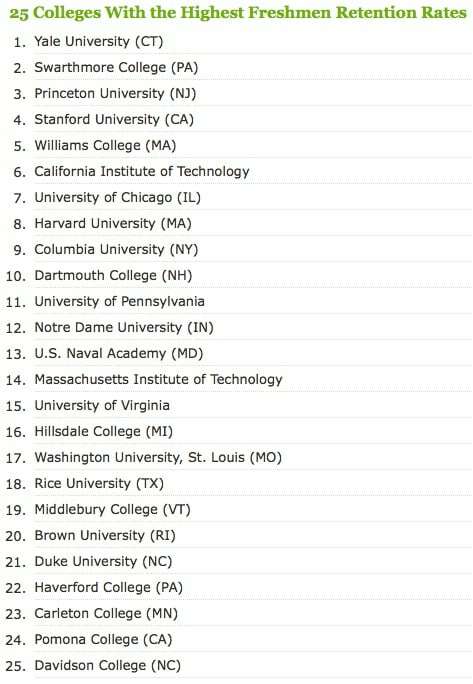 I wrote a post yesterday for my college blog at CBS MoneyWatch that lists the 25 colleges with the highest freshmen retention rate, according to the think tank that generates the annual college rankings for Forbes. The top school on the list is Yale, where 99% of students return for their second year. Impressive. You can compare any school’s freshmen retention rates with the national averages that ACT Inc., compiles annually. At public, four-year schools, the average retention rate is 73.3%, while the rate is 72.8% for private institutions. It’s easy to find the freshman retention rate of any school by visiting the federal College Navigator or College Results Online. To find the the retention rate through the federal College Navigator, Google the term and then type the name of any school in the search box on the upper left-hand side of the home page and hit the Show Results button. Next click on the school’s link when it appears and then on Retention and Graduation Rates. Learn more about The Ultimate College Workshop that will be held on Oct. 15 at the University of California, San Diego. One Response to How Happy Are the Freshmen? Hi Lynn, Isn’t there some study or source of info that measures student happiness, but is not based on retention rate? (or not based solely on retention rate) I recall seeing something on a college website, but I don’t know if it was a reputable source or the methodology used. 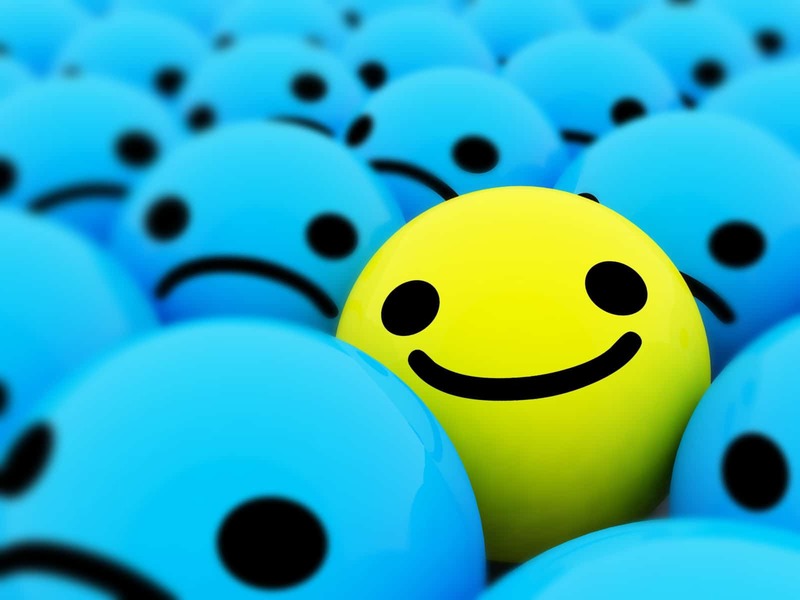 If there is some sort of alternative gauge of “happiness,” I’d love to get your opinion on it.